But in truth, I still love bunnies best. 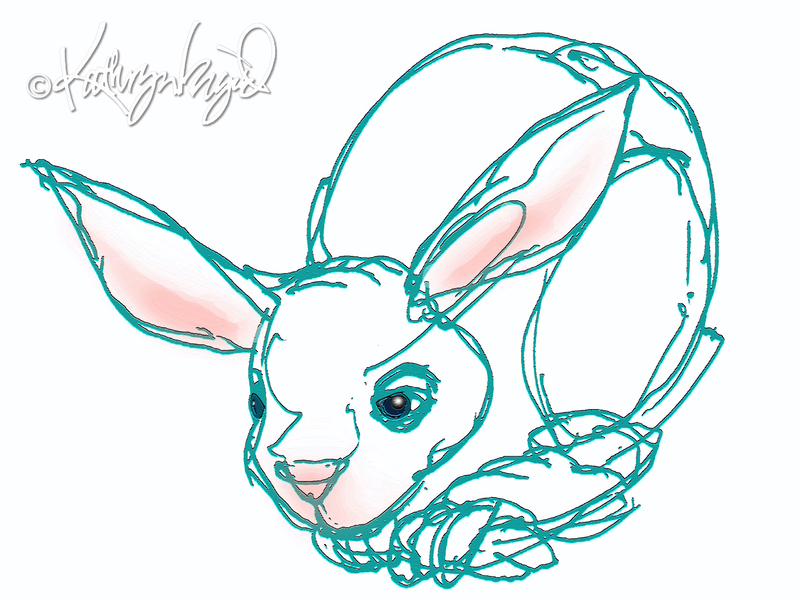 This entry was posted in Animals, Art, Happiness, Humor, Love, Poetry and tagged a good night's rest, American Chestnut, art, bunny, cashmere, crazy quilt, digital illustration, Drawing, honey bunny, human nature, humor, picnic, poem, Poetry, Rabbit, silk, silliness, Tree by kathryningrid. Bookmark the permalink. My favorite model and inspiration, my sister’s family’s pet rabbit Basil, was on hand during our visits this summer, so I knew I had to pay a little loving homage. I call my brothers’ Honey Bunny. Have a beautiful week ahead dear. Honey is delicious. Bunnies are delectable. Honey Bunnies make the most delightful of friends and family! With your love of creatures, I know I can count on you to enjoy my whimsical paeans to them! A teddy bunny would have been so much better than a teddy bear. So much more sensible, no?